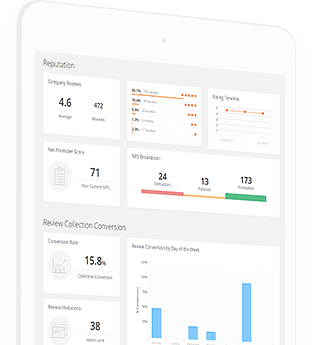 Expert Answers is a Q&A software that directly increases your conversion by enabling you to provide useful answers to questions from your potential customers. Use your staff's superior product knowledge to improve trust and increase conversion. 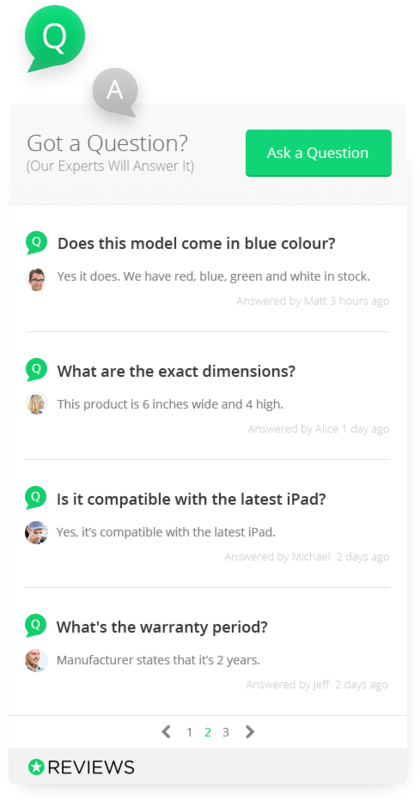 'Expert Answers' allows your in-house experts to reply directly to questions asked by your customers. Expert Answers gives customers the information they need to make a purchase. 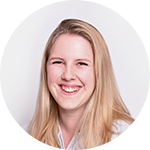 Amazon have proven that a question and answer dialogue between an expert and a customer can increase trust, reduce friction, and provide information that is relevant to a purchase decision. The process is quite simple a customer on your site asks a question on your product page. We then email this question to your designated in-house experts inviting them to reply. Once an expert has replied to the questions they will get the option to send the answer just to the person who asked the question or post the question and the answer to the page. 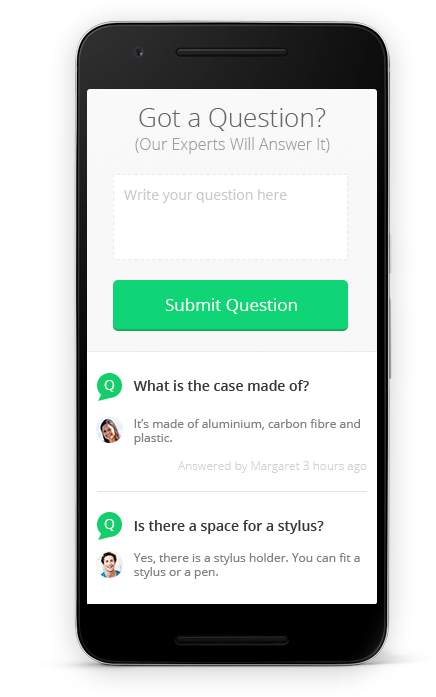 Brand your Expert Answers widget your way. 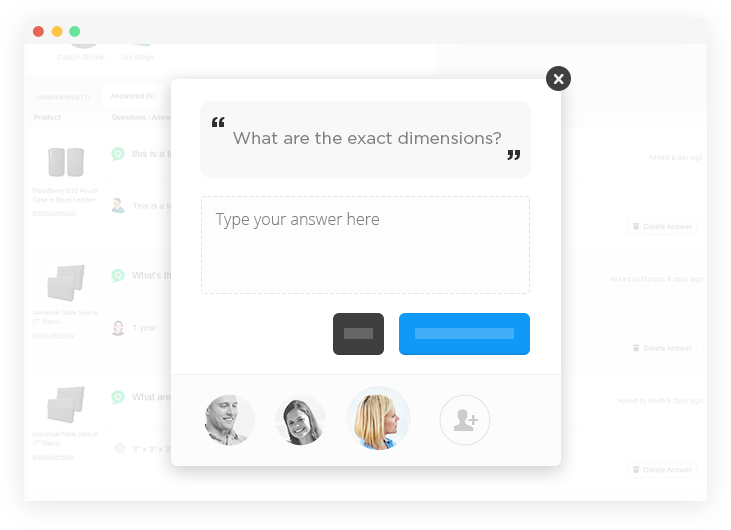 Expert Answers supports a customizable responsive design, allowing you to facilitate Q&A interaction for your users whether they’re on their computer, tablet, and mobile phones. The design is customizable to integrate seamlessly with your current site. Have a Question About Expert Answers? Please do not hesitate to ask our experts a question via it. 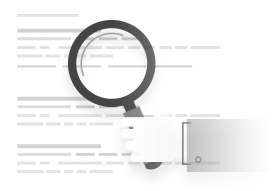 Expert Answers provides fresh relevant content that search engines love. Our solution adds (indexable) in-line content direct to your sites pages. You are in complete control over the content displayed on your site. Your in-house experts have to approve every Q&A before its posted to your site. We are here to help! We'll guide you through setup, answer questions, and assist with your customization needs.